Emma Parker Diamonds: Emma Parker & Co. was founded by Tim & Tara Andre and Seth O'Dell with the goal of creating an experience unlike anything to be found in the jewelry industry. To bring a level of service unmatched by other businesses in the industry, combined with the best quality product available, and a desire to help their customers find the perfect jewelry to suit their needs. I received the Sterling Silver ..03 ct tw Diamond 18" from Emma Parker Diamonds to try and review. Let me just start off by saying how truly amazing this necklace is. It's the most beautiful necklace I have owned. I have always loved necklaces for the way the shine, compliment outfits, and the feminine of necklaces. 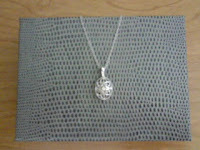 I love this sterling silver necklace. The chain was the exactly length that I like it goes about mid chest, Not to long and not too short. the design of this pendant is amazing. 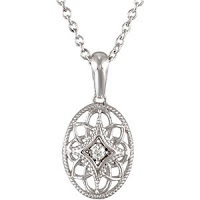 The design reminds me of a lotus flower (which I love) and a beautiful diamond centered in the middle. the elegance of this necklace gives you the option to wear it dressed up in your classy black dress or running around being MOM at your child's school play. I love the versatility of this necklace. It's charming and beautiful will catch plenty of eyes and .. compliments. I have gotten many compliments while wearing this necklace rather it be shopping or eating out with my husband. 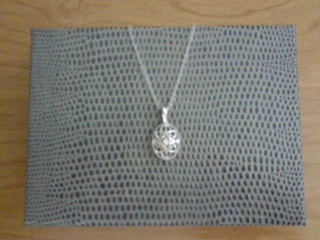 I was worried about the pendant being too big or being too small, But when I opened the box I fell in love. It was just the right size for me. It was not overwhelming and it wasn't so small you could not see it which I am really happy about. 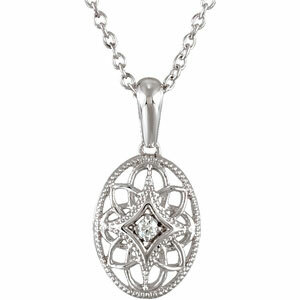 Emma Parker Diamonds has a amazing selection of necklaces to choose from. I searched the website and found tons of amazing necklaces, bridal jewelry, and gifts for my husband, family and friends. I know where I'm going to be shopping for Christmas and birthdays this year. ♥ I receive no monetary compensation for this review. I was provided a Emma Parker Diamonds necklace to try and give my honest opinion.